Albert Hall is on the main floor with a private entrance from the front hall. It can be rented alone or as "Holman Town House" with Suite William, or "Soshea Town House" with Goodnight Irene and Suite William. 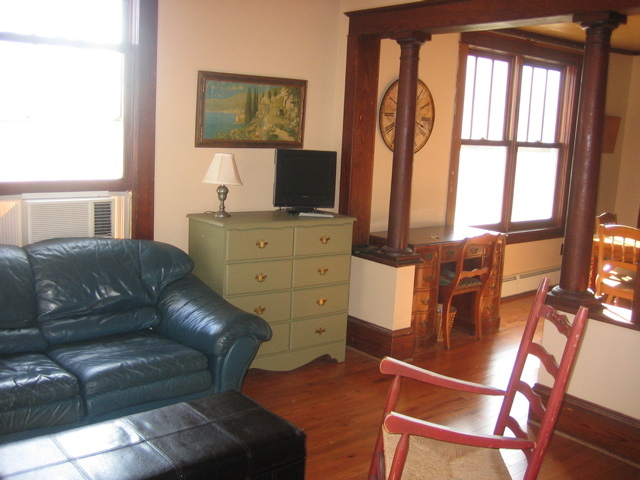 Albert Hall consists of a sunny front parlor, completely equipped full kitchen, dining area, and full bath. It has a comfortable queen-size Murphy bed, which pulls down from its storage cabinet in the parlor. 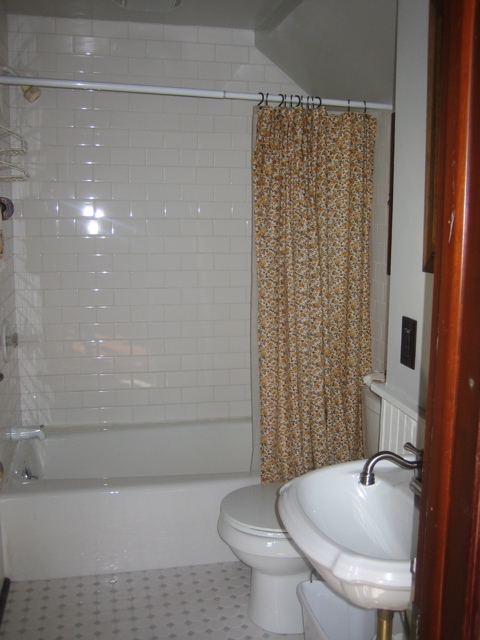 Amenities include wireless broadband internet, TV, basic cable service, and air conditioning. Check-in time is 3 P.M., and check-out is 11 A.M.